The Commission likes to pat itself on the back for coming up with a legislative response to two ECIs: Right2Water and Stop Glyphosate. But, its response to Right2Water with a new EU Drinking Water Directive came five years after the initiative’s submission of signatures, and the response to Stop Glyphosate did not touch on any of the three demands of the initiative. Organisers of both made it be known that the Commission’s response fell short of victory – a clear difference between what the Commission considers a reason to celebrate and what the organisers consider. Until the Commission will accept that it should respond to successful ECIs in a way that does justice to the demands of the initiative, and not halfheartedly or several years later, the lack of sufficient political impact will continue to restrict the tool’s potential and thereby hindering public interest in the tool as well. But, this year the ECI will begin to see a makeover, as promised at last years’ ECI Day by First Vice President of the Commission, Frans Timmermans. The Commission’s proposal for a revised ECI was published last September, with significant improvements in the technical and user-friendliness aspects, but limited progress on the scope of what the ECI can cover, the role of the Parliament and the Commission’s response to successful ECIs. In any case, the proposal for a revised ECI still has quite a way to go before it will take action. Opinions on the Commission’s proposal have been adopted by the advisory committees, the European Economic and Social Committee the Committee of the Regions. The European Parliament is drafting its own report on the proposal and is expected to adopt the report late summer or early fall, with closed-door trilogues between the Commission, Parliament and Council beginning in the fall. The newly revised ECI should enter into force by January 1st, 2020. 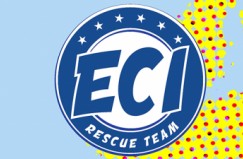 The ECI is beginning a new chapter of its life this year, and interest around the proposed improvements and recent successful ECIs has people buzzing about the ECI once again. Will the new and improved ECI make waves in the world of direct democracy? What’s clear is that our commitment to strengthening the ECI as a way to bring citizens closer to the EU will only be reinforced. We can only hope that the EU feels this commitment and obligation as well.